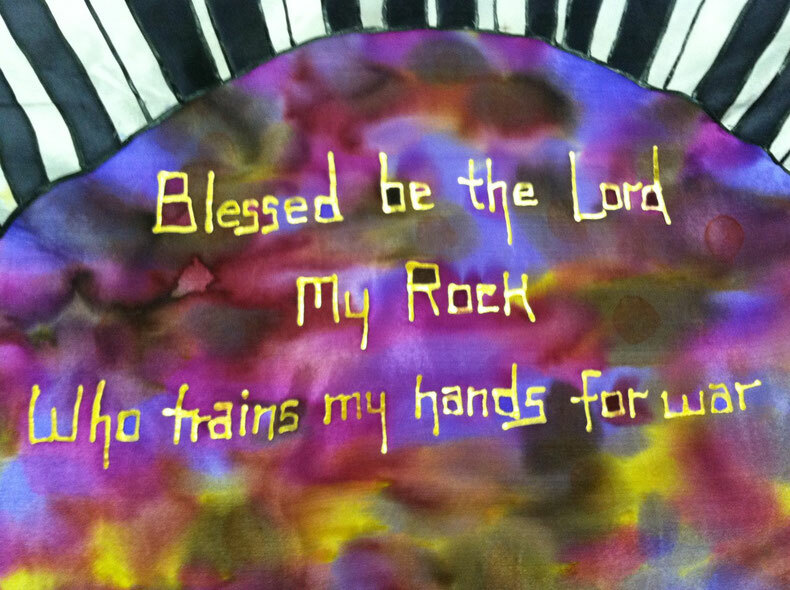 Train My Hands for War - 3 Strand Cord Silks - Glowing Silk Flags & Billows based on the Bible, Jesus and His Church, to enhance your worship of God! To purchase this item, click on the link below. 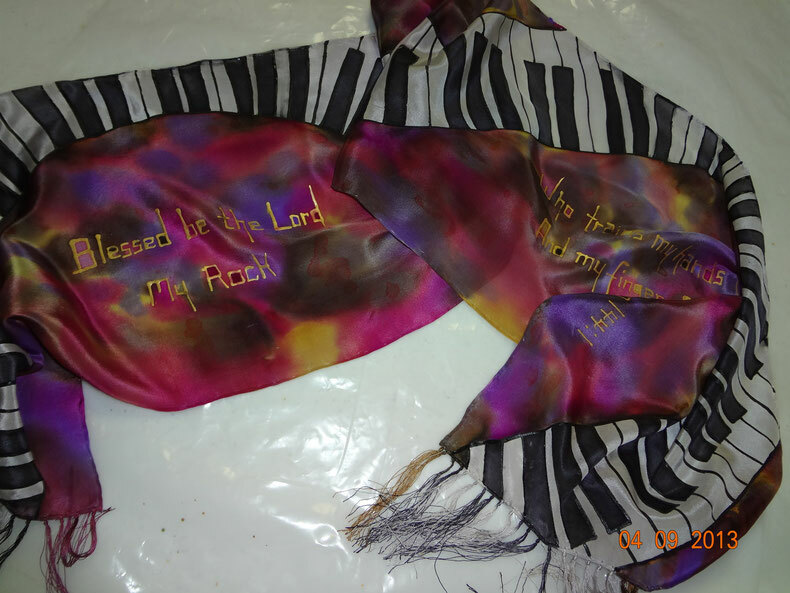 Hand painted silk scarf is 60" long and 11" wide, with fringe. 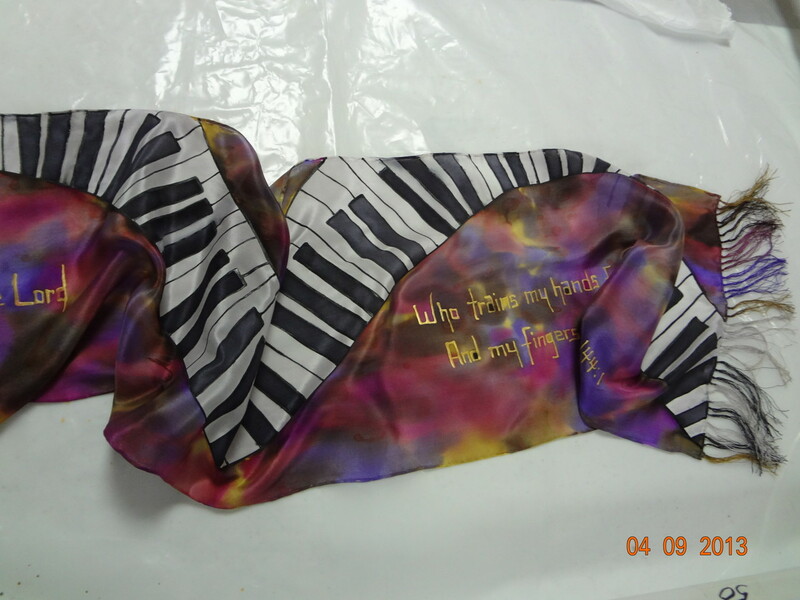 A stylized keyboard floats across the length of the scarf. Scripture reference (Psalm 144:1) is written in gold over a multi-colored background of golds, purples, blues and magenta. 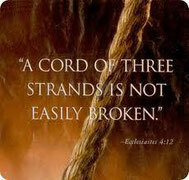 Based on Psalm 144:1 "Blessed be the Lord, my Rock, Who trains my hands for war, and my fingers for battle".